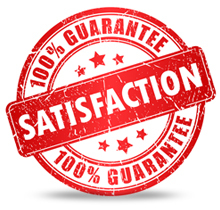 FolderPrinters.com is confident with the quality of our products and services and we back that up with our satisfaction guarantee. If you are not completely satisfied with your purchase, please contact us within 14 days of receipt of your order, and if your order is found to contain any errors that are not within our allowable tolerances, we will reprint all or part of it at our expense. We will not take responsibility for a reprint due to customer errors, including but not limited to: errors in grammar, spelling, and punctuation; poor quality or low resolution images; errors in design or colors submitted by the customer; incorrect layout or orientation for die cutting, gluing, folding, etc. We will reprint orders damaged in transit, however we will require photographs of the damage so we can make a claim with our shipper. - All the specs, including shipping method are the same. - Price must include freight charges. - Printing method must be by sheet fed offset press. What do I do if I find a lower price? If you find a site online with a lower price, contact us with the specs and the competitors URL (website address) and we will verify the information and override the price in your shopping cart. What happens if I find a lower after my order is placed? We will price match up to 7 days after you place your order. 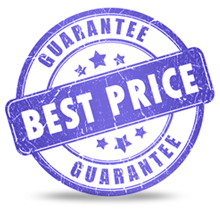 If you locate a lower price within 7 days after placing an order with FolderPrinters.com, contact us with all the information including the competitors URL. Once we confirm all the specs including the shipping method are the same, we will refund the difference to your card. We adhere to the strict GraCol 7 color standards! However we will not be responsible for color variations between a PDF screen proof and the final printed piece due to the variances in viewing equipment. If you have a color critical job we recommend selecting a hard copy proof option with your order to verify a color match. If you believe your job is not within the color standards and it is determined that your job is not within the GraCOL 7 standards by our GraCOL 7 color expert we will issue a reprint of you job. We will not be responsible for the missed shipments or delays associated with delivery to the wrong address or packages that are undeliverable caused by the customer. Our guarantee is limited to the reprint of the original order quantity. This does not cover any claims or damages incurred by the customer that received printed materials that were incomplete, defective, or later than your estimated delivery date.